WHY I LOVED IT: I’m not sure I ever figured out which one between Graham Russell and Russell Hitchcock is Air and which is Supply, but I digress. Also, I continue to forget “Here I am” and “The One That You Love” are two different tracks, although the lyrics blend directly into the latter, but I digress again. I got jokes for you because many macho-type music fans always considered Air Supply to be a joke. Keep the laughs going all you want, but Air supply was and remains one of my go-to soft rock favs of the 80s. It’s damn near impossible to hear one of their superb ballads and not be in a better mood for listening. I’m utterly defenseless when “Here I Am (The One That You Love)” hits my Ipod and try not to belt along. Bottom line is this album generated three top ten hits that may be more respected today than they were 35 years ago, including their lone number one with the heartstring-pulling “The One That You Love”. Furthermore, “This Heart Belongs to Me” and “Keeping the Love Alive” are tunes fans sleep on but shouldn’t. This album delivered the goods. COMMERCIAL SUCCESS: Their sixth studio album enjoyed sufficient success commercially, landing in the top 10 on the Billboard 200 while having three high charting singles. “The One That You Love” did the best, reaching number-one on the Billboard Hot 100, while “Here I Am” and “Sweet Dreams” both peaked at five. 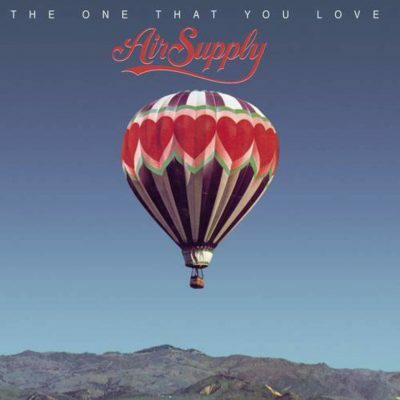 “The One That You Love” turned out to be Air Supply’s one and only chart topping hit. It didn’t chart in America but “I’ll Never Get Enough of You” did very well in Asia.